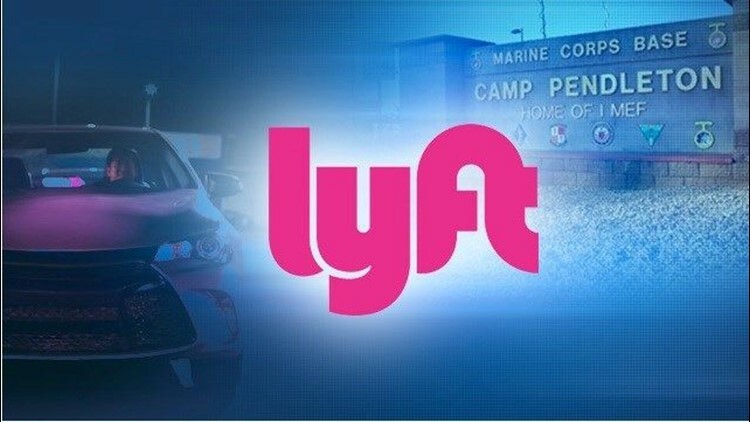 CAMP PENDLETON (CNS) - The ride-hail service Lyft is partnering with officials at Camp Pendleton to launch a service it trumpets as a transit solution for Marines and other personnel on the base and an economic opportunity for military members and their families. Under the yearlong agreement dubbed "Base Mode," selected Lyft drivers will have access to Camp Pendleton, making it easier to pick up and drop off passengers on the base. The program could also open more opportunities for military families living on or near the base to make money driving for Lyft. Currently, those on Camp Pendleton who wish to hail a Lyft are unable to know in advance if the driver they are assigned has base access. When Base Mode launches Friday, those needing a ride while on the base will only be matched with drivers who have access, the San Diego Union-Tribune reported. Tens of thousands of Marines and their family members live on Camp Pendleton, and the base's daytime population swells to more than 70,000, according to the base's website. Under the Base Mode agreement, Lyft will also share some revenue with Marine Corps Community Services, officials said. The company said it would "invest a portion of revenue into recreation programs designed to support and strengthen the Marine Corps community." Lyft said Base Mode "can help alleviate the need for personal car ownership," which it called the "number one cost for military families." "Additionally, the base will explore leveraging Lyft for business rides to replace fleet vehicles -- reducing costs and improving progress towards the Marine Corps' energy and vehicle utilization goals," officials said in a statement. According to a statement, the Base Mode agreement is the latest venture between Lyft and the U.S. military and Department of Defense. A similar program to Base Mode allows Lyft drivers easier access to Maryland's Fort Meade, home to the National Security Agency, Central Security Service, United States Cyber Command and the Defense Information Systems Agency. Among other programs, Lyft also works with the United Services Organization, to help military veterans, and the program No One Left Behind, which works to help Afghan and Iraqi interpreters who have come to the U.S. after helping the U.S. military during the American wars in their countries. "Through the program, interpreters on (special immigrant visas) can access special benefits, discounted rides to appointments and employment as drivers," Lyft officials said in a statement. "If they don't have access to a car, they'll qualify for Express Drive, a Lyft program that enables drivers to earn free car rentals for driving a specified number of hours per week."